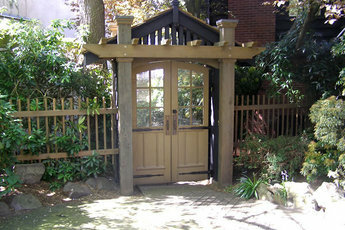 Pedestrian gates, or man gates as they are sometimes called, are gates that are accessible by foot. They can be made for residential use, commercial or beyond. Let us design a custom pedestrian gate that fits your specific needs!